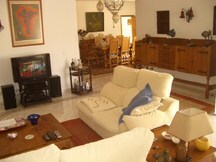 Excellent Villa in Albufeira near Olhos d'água with 4 great bedrooms all with bath, very good areas. 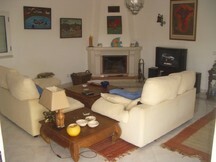 The villa is situated in a very calm area, but near all services including supermarket good restaurants, Bars, Pharmacy, etc, all by foot. Albufeira center is at 5 minurtes by car. All the great Vilamoura golf courses nearby. The beach is approximately a 15 minutes walk. Cosy pool area with table tennis and BBQ. 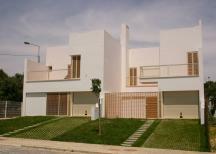 Please quote reference: a4m: 743 villa "Casa do Mar"
You may visit many owners direct holiday rental websites before you find a suitable property and then make a reservation. 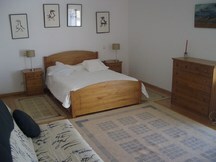 It is not common practice for websites to visit each property listing and actually meet the property owner. Even if we did physically view the property, we could not guarantee that the property that we viewed or the owner that we met were the actual property or owner. 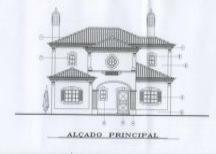 What is being offered to you in your correspondence with the property owner may be different. Why? Because you contact the owner directly and we do not have access to what was said, when and how many emails you send because you send them privately, not through our website. Be careful. With most items that are advertised, even rentals which are offered through newspaper classified advertisements, it is up to the buyer to be aware. Insist on the address of the rental. Do a search on the internet for the property. If you know someone in the area, ask them to view the property. Ask the owner if the property can be viewed before payment is made. If they refuse, move on to someone else. Ask for phone number references from other renters, then call them. If an owner asks you to transfer money to a bank account, do not do it unless you are absolutely sure that this is the person that owns the property. If an owner asks you to wire them money for any reason, do not do it. If the person tells you that they are working for the owner and you should send your payment direct to the owner under a different name from the person you are speaking to, do not do it. If you have any doubts at all about a property on our website, let us know that you think that it is a scam and we will check it out. Please refresh your browser if map does not display. 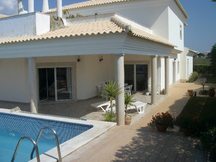 Welcome, we are proud to be able to offer you a fantastic selection of algarve apartment and villa rental properties for your perfect holiday vacation in Portugal. If you have never visited the Algarve before, please visit now. You won't be disappointed! With cheap daily flights to Faro, there has never been a better time to travel. With an average of over 3000 hours of sunshine a year, over 100 miles of beautiful sandy beaches, friendly local people, good food and a relaxing atmosphere should make your stay a pleasant one. Our wide choice of accommodation, real estate, holiday rentals and travel accessories can be quickly accessed from every page. "The Algarve"! Recommended in 2005 by the UK TV Channel 4 programme "A Place In The Sun" as their number 1 destination in Europe to invest in property. 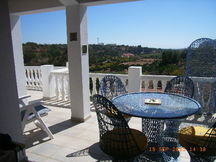 We used Algarve4me to search for a holiday rental and found a fantastic 3 bedroom villa to rent near Lagos. Thank you. La casa muy buena, muy tranquila para relajarse y con todas las comodidades, por poner algo negativo que esta un poco lejos de todo, hay que coger coche.